Many have taken interest in how religions differ from one another. This article outlines some ways in which Lutheran faith is different from Presbyterian faith. Lutherans believe that when Jesus died on the cross, it was for the forgiveness of all the people’s sins. It is for the people who have faith in Him, people who will have faith in Him, and those who do not and will never have faith in Christ. Lutherans teach about God’s unconditional love and unselfishness – He sent His Son to love and save the people of the world, even those who do not deserve His love. However, some of the Presbyterian Churches teach their members that the sacrifices Jesus made on that cross were limited. They say that His death was only for the sins of those who are chosen. People who are destined to believe and have faith in Christ for eternity will be the only ones who will spend their eternity in Heaven with Him. The rest, the ones who are not chosen, will not be cleansed. The two religions also differ when it comes to beliefs about predestination. Lutherans believe that God has chosen whom he will save and allow to spend eternity with him – they are the ones who have trust and faith in Him and in Jesus Christ’s grace. They also believe that God did not predestine anyone to damnation; those who are damned are damned not because God wanted them to be, but because of their own sins. Presbyterians think differently about this – they teach in their churches about “double predestination”. They say that God predestined everyone’s rightful place, regardless of faith. Some people are to be saved eternally with Him, and some are destined to be damned. Man can do nothing to save himself from eternal damnation. Both religions consult the Bible for their teachings and beliefs. Lutherans believe that the way to interpreting and understanding the Holy Bible is through the Gospel; they believe that it is the heart of the Scripture and the sole rule of the Christian doctrine. Presbyterians, on the other hand, emphasize that the central teaching of the Scripture is the glory and sovereignty of God. A simple dissimilarity between the two is that Lutherans think accepting communions means you are really accepting the real body of Christ, while Presbyterians believe it’s just a symbol of the body and blood of Christ. Lutherans rely on their Christian doctrines in the Scriptures alone and don’t acknowledge the human reasons. Presbyterians, however, believe that the Scriptures and the human reasons work together. They don’t just base their source of doctrinal authority on the Scriptures; they also allow human reasons to intervene in it. The two faiths also view the sacraments differently. For Lutherans, Baptism and the Lord’s Last Supper were actual means of the grace of God, while Presbyterians see it more as a mere symbol of His grace. 1. According to Lutherans, Jesus died on the cross for everybody. Presbyterians think it was only for those who are chosen. 2. Lutherans believe that if you have and faith and believe in God, you shall be saved. For Presbyterians, God has already chosen whom to save and whom to damn. 3. For Lutherans, the sole rule of the Christian doctrine is the Gospel. Presbyterians believe that it’s the glory and sovereignty of God. 4. 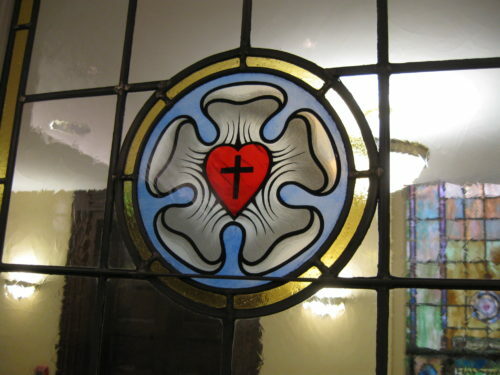 Lutherans believe that the communion is the actual body and blood of Christ; conversely, Presbyterians believe it’s just a symbol of God’s body and blood. 5. Scriptures, for the Lutherans, are the only source of doctrines. Presbyterians, on the other hand, think that beside the Scriptures, human reasons should be a basis as well. 6. According to the Lutheran Church, Baptism and the Lord’s Supper are the actual means of God’s grace; to Presbyterians, they are just symbols of His grace. Celine. "Difference Between Lutheran and Presbyterian." DifferenceBetween.net. May 22, 2017 < http://www.differencebetween.net/miscellaneous/religion-miscellaneous/difference-between-lutheran-and-presbyterian/ >. Oh my — this article contains so many misunderstandings about Presbyterianism that I don’t know where to start! I am a pastor in the PC(USA) church, and this was shared with me by a Lutheran considering joining our church. Fortunately, I was able to explain to him that points 1-4 are completely wrong, 5 seems to have Presbyterians confused with Methodism, and only #6 is somewhat accurate (Baptism and the Lord’s Supper aren’t “just” symbols of grace, but they are visible symbols of what God has already done/of God’s grace). A better source for information on Presbyterianism would be to read Christian Doctrine by Shirley Gutherie. Amen to that Amy, there are so many things here that were written that were incorrect. Hoping the author corrects this. Well, it sure has enough misconceptions about the Lutheran church, too. It should be pulled off the ‘net, really. You are right, this entire thing is wrong. Yeah, make sure you clarify which Lutherans you are talking about because that is not completely correct for what ELCA Lutherans believe. vs is not always used as a competition…. I have spent my entire life in the Presbyterian Church (USA) and recognize little that the author has to say about us. The article seems to be based entirely on rumor and speculation, particularly on the subject of predestination. 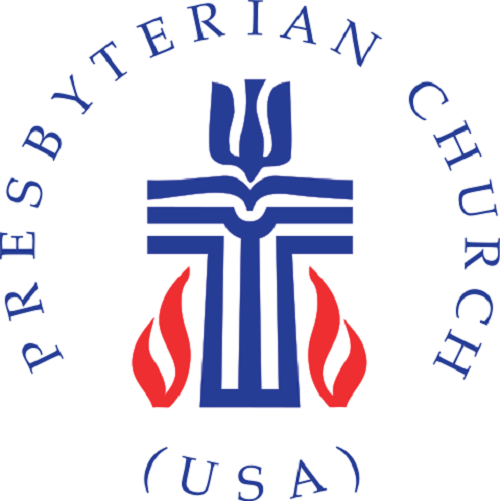 I detect a sense of contempt for the Presbyterian Church that is based on disinformation. I would be like to know who wrote this, so that I can avoid this author in the future. Whoever contributed to this series of articles knows very little about the comparison of Christian religions. I wanted to learn a bit about Presbyterian beliefs but don’t think this article is helpful because I know some of the “facts” about Lutherans aren’t true. Every Lutheran I’ve ever met (so everyone at my church) would laugh at the thought of communion being the literal body and blood of Jesus. Plus how can you make a broad statement for all Lutherans when the ELCA and MO Synod are basically different denominations? This definitely is not helpful. John, you don’t mention what exactly your fellow Lutherans do believe. From what I can see, the difference is that while Christ is mysteriously present in the bread and the wine, He is not actually eaten. And yet it is not Christs’ spirit that is present or perhaps better put, the Holy Spirit, but Christ himself. That Christ appears without appearing. Lutherans maintain that what they believe to be the biblical doctrine of the manducatio indignorum (“eating of the unworthy”) supports this doctrine as well as any other doctrine affirming the Real Presence. The manducatio indignorum is the contention that even unbelievers eating and drinking in the Eucharist really eat and drink the body and blood of Christ. I’m still confused about how this is biblical. Sounds more like Gnostic secret knowledge than anything Jesus actually taught. Here, Paul portrays the Body and Blood of Christ as objective realities, independent of the belief or faith of any person who partakes of it. Consequently, an unbeliever takes it to his judgement. If the Lord’s Supper were not an objective thing, the unbeliever wouldn’t encounter it at all. Also Jesus, in John 6 says, “For my body is real food, and my blood is real drink.” What more could one say to describe that something is real than to say, “this is real”? https://en.wikipedia.org/wiki/Westminster_Shorter_Catechism and the longer catechism as well. But although we in the Presbyterian faith believe in the Real presence in the bread and wine…we do not believe in transubstantiation nor the belief that the Lutherans have in consubstantiation. Although I completely agree with you on the scripture you quoted this does not negate the real presence” as taught in the Presbyterian faith with regards to the Lord being present in the elements in a spiritual way. Inaccuracy I: “He sent His Son to love and save the people of the world, even those who don’t deserve it,” no one deserves it, no matter how righteous you think you are, we are all wicked and filthy sinner. Inaccuracy II: We don’t believe God predestined anyone to Hell, we believe that Salvation is a privilege, and no one is entitled to Heaven. That’s why Christ came and died on the cross, only through him can we be in God’s presence, and be saved. Inaccuracy III: “Presbyterians, however, believe that the Scriptures and human reason work together.” Unfortunately, that one is to a certain degree true, our church in particular seems to be subject to false teachers. But you claim that it’s a part of Presbyterianism – it’s not. Historically, our church focused on and emphasized ‘Sola Scriptura.’ Now, only a few faithful churches do, but human reason is in no way a part of our doctrines of belief, it’s a lie from Satan that has penetrated many of our unfaithful sanctuaries.